This amber oil (Pinus succinfera resin) is blended with citrus essential oils and fragrance top notes. The aroma is truly special -- resinous, warm and smoky with an undertone of floral citrus. Amber is popular with perfumers and soap-makers, and blends well with geranium, pine, spruce, cedarwood, myrrh, galbanum, frankincense, cypress, clove, aniseed, lemon, orange, cistus, rose absolute, and benzoin. 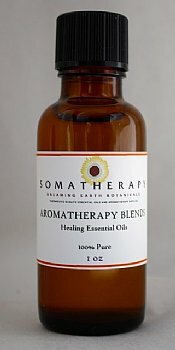 Note: This is our only blend that is not made up of 100% pure essential oils, made available for those who have requested a refined amber blend.